There are many decisions that discuss an employer’s obligation to give notice to a dismissed employee. Gagnon & Associates Inc. v. Jesso (2016 ONSC 209) is a relatively rare case about an employer suing an employee for failing to give notice of resignation. As the decision reveals, employees do have a clear obligation to provide adequate notice, and can be liable to their employers for losses caused by their sudden departure. Pierre Gagnon (“Gagnon”), the owner of Gagnon & Associates Inc. (“GA”) hired Barry Jesso (“Jesso”) in 1996. Jesso was hired by way of a verbal agreement which included his job title and his salary. Over the course of his employment he was promoted until he was in a sales position responsible for over 60% of GA’s sales. Gagnon and Jesso periodically negotiated increases to Jesso’s compensation. By the end of his employment, Jesso was paid a combination of base salary and 25% commission for a total of around $180,000.00 per year. By 2006, the relationship between Jesso and Gagnon had deteriorated sharply. Jesso felt that he was being undercompensated, Gagnon felt Jesso was overcompensated, and the annual salary negotiations became acrimonious. Jesso and a coworker signed employment contracts with one of GA’s competitors. Jesso resigned, giving two weeks’ notice on the condition that GA pay him $30,000.00 in outstanding commission. Gagnon insisted that no commission was owed, and Jesso never worked at GA again. Jesso and his coworker set up a competing office, and several of GA’s clients transferred their business to it. GA sued Jesso, arguing that he gave insufficient notice of his departure, caused GA to lose sales because of the difficulty of finding a replacement salesperson, and breached his duty of good faith by setting up a competing office. Jesso counterclaimed for his outstanding commission, and claimed 50% ownership of GA based on a verbal agreement between himself and Gagnon on a flight in 1997. The Court identified a wide range of issues, summarized below. 1. What were the terms of Jesso’s employment contract? 2. Did Jesso give insufficient notice of his resignation? 3. Did Jesso owe a duty of good faith to GA, and did he breach it? 4. Did GA owe money to Jesso? 5. Was there an agreement which entitled Jesso to 50% of GA? 6. Did GA’s actions entitle Jesso to punitive damages? 7. What damages, if any, did one party owe to the other? The Court found that Jesso’s employment contract was the verbal agreement made in 1996, as modified by subsequent salary negotiations. None of GA’s attempts to impose a new written contract had any effect because none of them offered any new consideration. Jesso’s contract was only his salary and title; it did not include anything affecting the appropriate period of notice or any non-competition clauses. Just as there are contextual factors which govern how much notice an employer must give an employee of dismissal, there are factors which govern how much notice an employee must give an employer of resignation. The Court determined that the resignation notice period is a function of “[the] employee’s position with the employer and the time it would reasonably take the employer to replace the employee or otherwise take steps to adjust to the loss.” Jesso effectively gave no notice despite being an important sales person, and despite knowing that another equally important employee would be resigning the same day. In the circumstances the Court found that at least two months of notice would have been appropriate. The Court relied on the Supreme Court’s finding in RBC Dominion Securities Inc. v. Merrill Lynch Canada Inc. that although every employee has a duty of “good faith,” that duty is not the same as a strict fiduciary duty. The duty of good faith means that employees cannot compete with their employers while they are still employed, or misuse confidential information, but that they still have the right to look for other employment and plan for future employment opportunities as long as they do not do so during working hours. They can also compete with their employers immediately after resigning, as long as they only have a duty of good faith. The Court found that Jesso did not breach his duty of good faith. The only issue was whether he abused any confidential information while planning to set up a new office for GA’s competitor. Although he should not have disclosed gross sales figures in his business plan, the majority of the information was not confidential, and so Jesso had not breached his duty. The Court found, based on an analysis of Jesso’s commission rate, and sales he had completed but which were not invoiced until after his departure from GA, that GA owed Jesso $38,501.24 in outstanding commission. With respect to the alleged verbal agreement entitling Jesso to a one-half share in GA, the Court found that no such deal had ever taken effect. While there was some correspondence between Gagnon and GA’s accountants about how such a deal could be implemented, evidently it was never followed through with. No written agreement was ever drawn up, Jesso only ever worked as a salesperson, and no changes were ever made to the structure of the business. As such, the Court concluded there was no agreement. GA had refused to pay Jesso the outstanding commissions and did not issue a Record of Employment until months after his resignation. Nevertheless, the Court found that these actions were not egregious enough to give rise to a claim for punitive damages. The Court looked at the drop in GA’s sales which occurred several months after Jesso’s resignation. The parties agreed that this was the time period in which the sales that Jesso should have been making during his notice period would have been invoiced. There was a clear decline in sales which the Court found should be attributed to the departure of Jesso and his coworker. The Court divided this sales loss in half (since Jesso was one of the tow departing employees, he could only be responsible for half the loss) and pro-rated it to create an average monthly figure. The Court concluded that for the two months of notice that Jesso should have given, his departure had caused a loss of $35,164.00. As a result, Jesso owed $35,164.00 to GA, and GA owed $38,501.24 to Jesso. 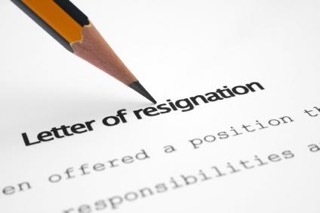 Employees should be aware of the importance of giving appropriate notice when resigning; a sudden departure could leave them liable for subsequent losses suffered by the business. It is important for all parties to ensure that contracts of employment are clear and specific. If you have any questions about your employment situation, call Monkhouse Law today for a free consultation.